a place to link up all your inspiring posts. 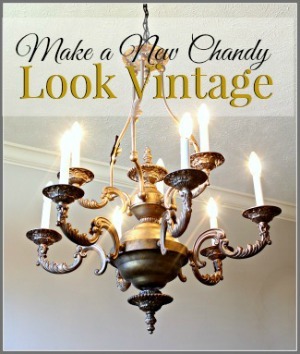 I've been a fan of Faded Charm since my first week of blogging. I didn't know what a "party" was, or how to link up to one, but the moment I laid eyes on Kathleen's wonderful blog I was smitten! I joined in for all of Kathleen's White Wednesday parties except twice, and once was because I was in the hospital. OK, so you know how much I love this girl!! 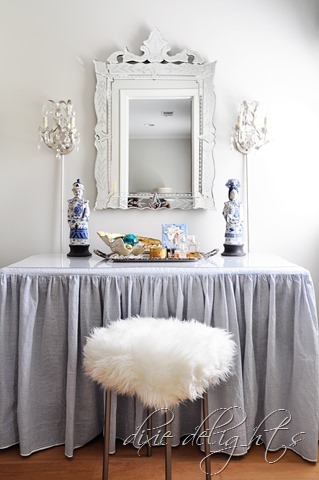 Over the years I've watched her decorate her beautiful home in the Pacific Northwest with one-of-a-kind vintage finds, and through the years admire her style and eye for decorating with "whites". 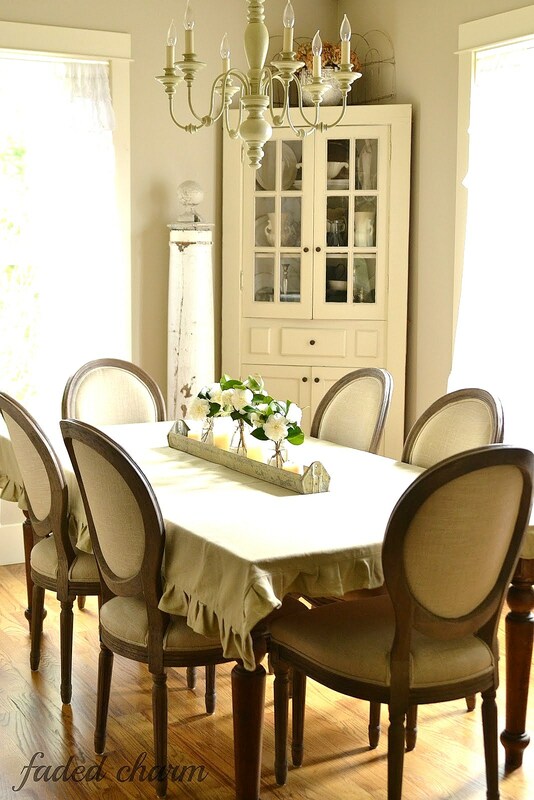 She just purchased new frenchy chairs and they give her Dining Room a lovely new vibe. Kathleen can even make a chicken feeder elegant!! if she'll come to my house. loves to look beyond just planting in an everyday "pot". 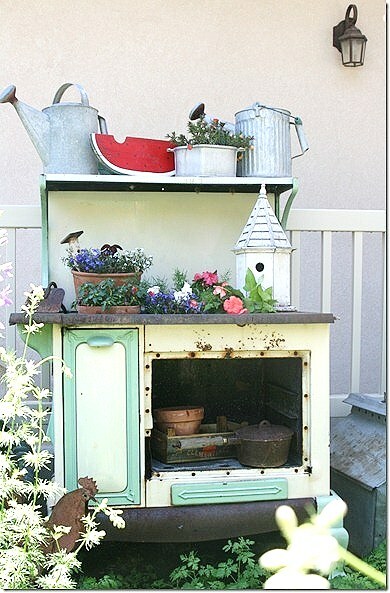 She has some fun ideas for garden containers. 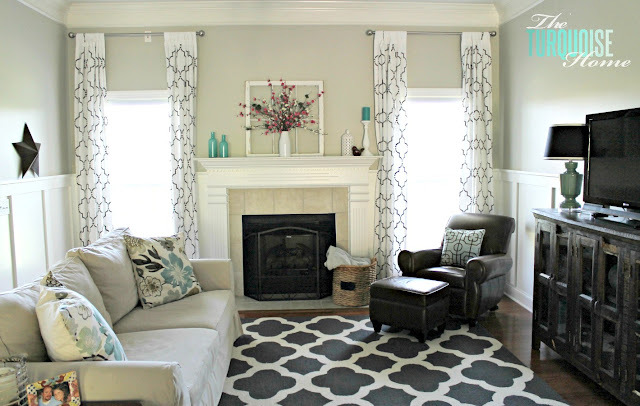 Laura from The Turquoise Home shares her Living Room reveal. You won't believe the difference a paint color and wall treatment can make. 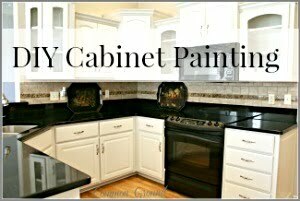 You'll want to see the "before" and "afters". shared a yummy and pretty recipe with Pansies and Herbed Cream Cheese. What a wonderful addition to a Springtime Brunch. This week's Sponsor Spotlight is on the oh-so-talented Christie Scibior and her wonderful Etsy Shop full of watercolor prints and notecards of her designs. I just adore her art and have one of her precious watercolor prints, myself. 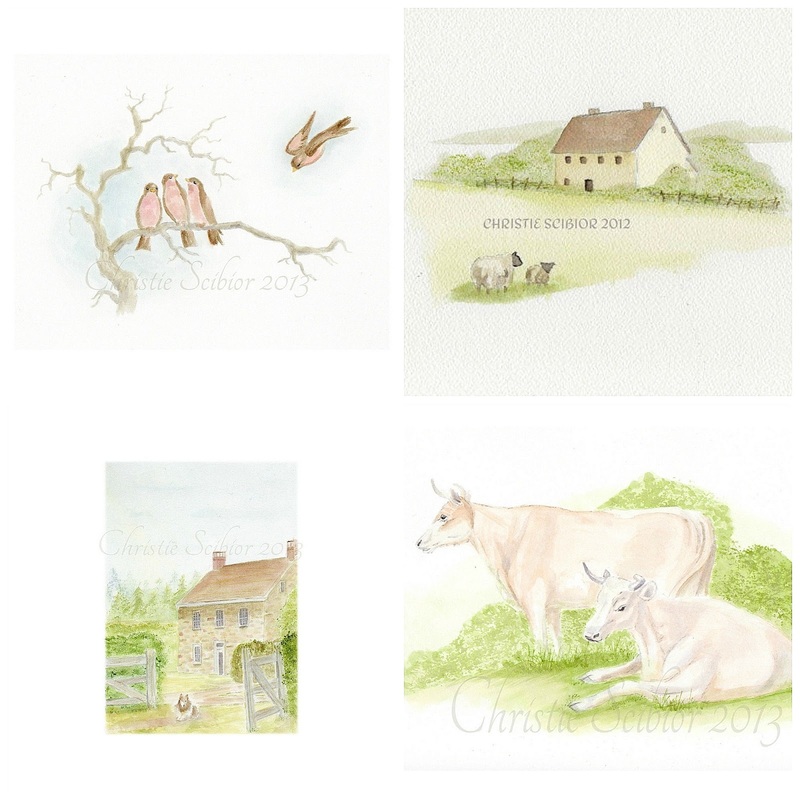 Please take a minute to run by Christie's shop, and then fall in love with her sweet creations. Thank you so much, Christie! 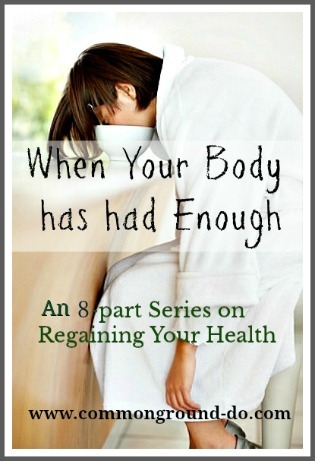 within your blog post to be featured. and while you're partying please check out these other great Friday parties! Debra, I had to keep scrolling up and down to look at the gorgeous dining room, then when you said, "chicken feeder" I was blown over. I had no idea, I thought it was just some neat old tin container. You are right, she could probably make my waste basket look elegant! Thank you for hosting and I'm a fan of Faded Charm too! Your features here today are absolutely stunning! 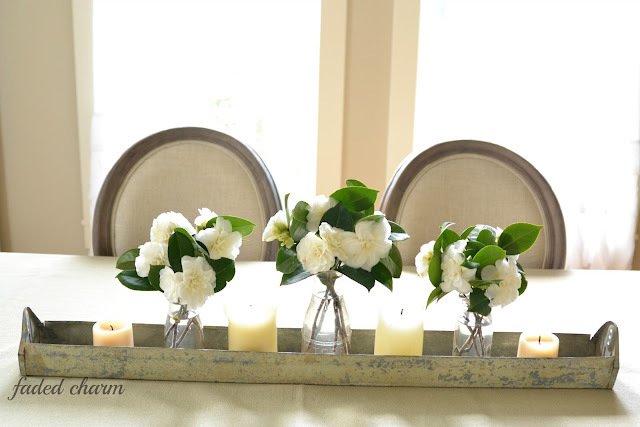 I especially love the living room reveal by Laura and of course, Kathleen's gorgeous dining room (and whole house!)! Thanks for hosting! I fondly remember White Wednesdays, too! Thank you so much for hosting your party today. Seasonal delights at every featured guest!!! Thank you for hosting Be Inspired Friday each week, dear friend!!! 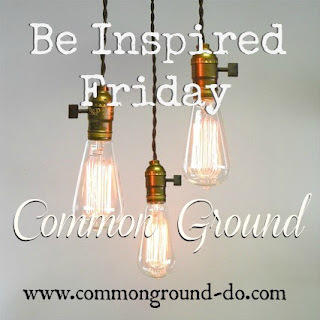 Inspiration continually abounds @ Common Ground!!! 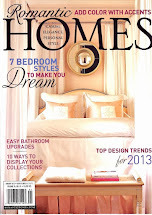 Thank you for hosting and a BIG thank you for the feature:) I have always loved Kathleen's blog too. Thanks so much for hosting, Debra. Have a great weekend! Thank you for having me, Debra! Such inspiring features! Be happy! Great features, Debra! Thanks so much for hosting each week. Have a great weekend! Hi Debra - Kathleen never fails to inspire when I visit Faded Charm - I feel the same about Common Ground too! Thanks again, Debra for featuring me today and the sweet things you said....you made my day! Love these ladies inspiring homes, love her new chairs and that dinning room is a sight to behold. Love all the time you take in doubly inspiring us with featuring there postings. Beautiful weekend to you and yours. What great features! So much inspiration each week Debra, thank you for hosting. 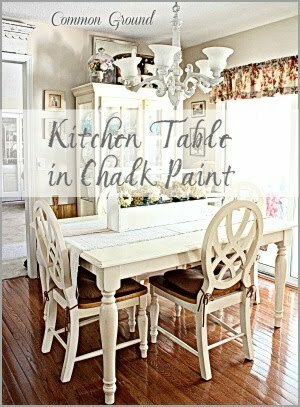 I too love Kathleen's home from Faded Charm! Miss her White Wednesdays so much. Such romantic inspiration there! Thank you for hosting and for joining me at Home Sweet Home! Debra, Thank you for always hosting a wonderful party. So many great ideas and inspirational stories. Have a wonderful weekend! Christie's artwork is so soft and pretty! Thanks for hosting, Debra. Wonderful features Debra! I'm a fan of Kathleen too! Thanks for hosting. Thank you so much for hosting Debra! 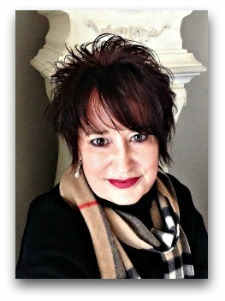 Debra, love the features this week, and I always enjoy visiting your blog. You've chosen great features this week, Debra. Have a great weekend and thank you! Fun picks this week, Debra! Thank you for hosting! All the rooms are simply gorgeous! Thank you so much Debra for hosting...wishing you a super weekend! I, too, have been a fan of Kathleen for about as long as I can remember .... like you, she's gotten better with time. Thanks for hosting again this week! You are appreciated. Great features! Thanks for hosting this party - I'm definitely inspired! I'm a Faded Charm fan, too. Thanks for hosting, Debra! 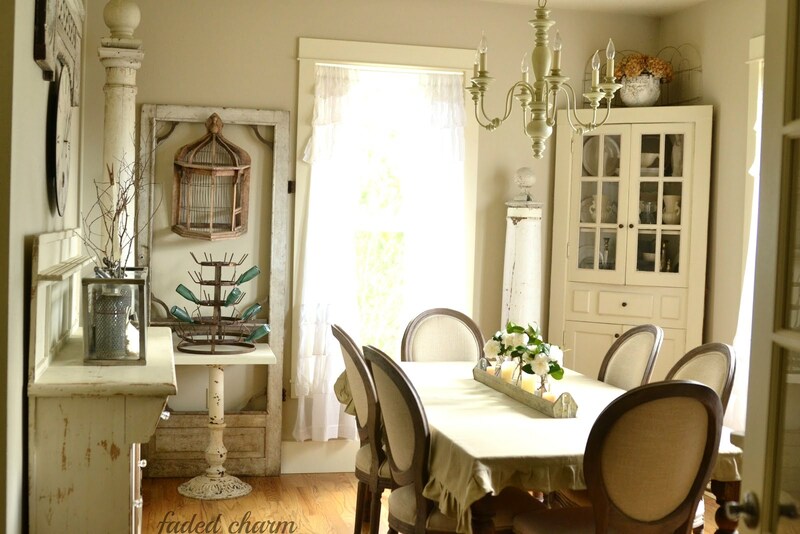 Love the diningroom and the chicken feeder! Thanks for hosting! 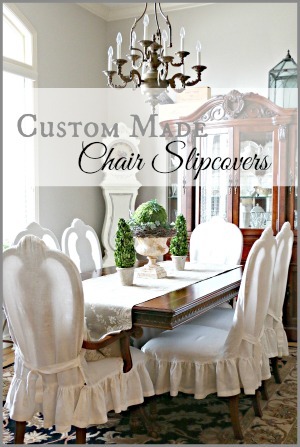 I swooned over the dining room chairs! Gorgeous! Thank you for hosting! i love kathleen's beautiful style! have a great weekend! Faded Charm always has such beautiful white photography! Thank you kindly for hosting, Debra, and have a great spring-filled weekend! Wonderful features Debra! I'm so impressed by the talent in blogland. Debra, what would we do without the parties! Thanks for hosting each week. Such inspiration to be found here! So many incredible inspirations Debra...Thanks for hosting and have a great weekend! Oh my, the inspiration is overwhelming on this Friday. Can't wait to browse through these creative blogs. Thanks. So happy to hear your husband is doing well Debra! 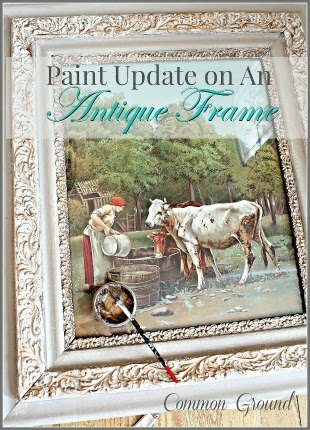 Always love peeking in at Kathleen's faded charm ~ have a great weekend! I love the features this week. Thanks so much for hosting. Thanks Debra for hosting a great party! Debra, Thank you so much for ALL the Inspiration and Support over the last year!! Especially, for your Beautiful and always Inspiring Blog and wonderful parties! You are a Blessing to me! Hi Debra, I'm a little late but I thought I'd join you today. I've been visiting some of these wonderful features. Thanks for sharing these. And I was so glad to hear the update about your hubby. I hope he continues to improve every day. I'm still praying for him.